The tea bag medallion on this card was made from octagon shaped tea bag tiles using the jewel fold (see link below). 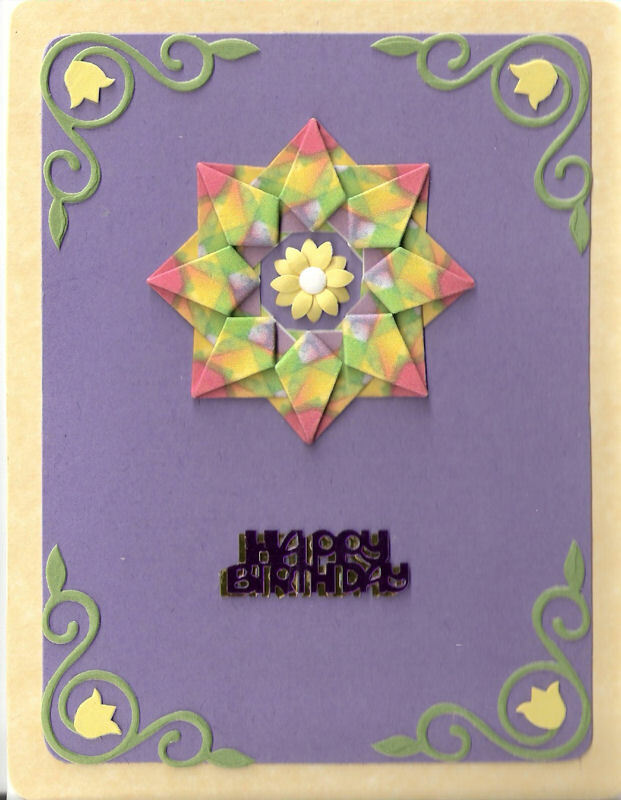 I added layered die-cut flowers from Cuttlebug's Vintage die set to the corners and a punched daisy to the center. I found the "Happy Birthday" confetti at a dollar store. Tan parchment card blank 4.25" x 5.5"